Growing up with a brother who was four years my elder, I always felt that I balanced myself between traditional “girl” and “boy” activities. I could play quietly with my Barbie dolls or help my brother sumo slam his WWF action figures into one another. Lead tea parties with my ceramic set or snake up the mud-brown stairs in our hallway in full army regalia. Take ballet lessons or play tackle football in the mud. This is perhaps why, as an adult, at gatherings when men and women separate into groups by gender I find myself most often with the men. When I was living on base with my then-husband, the other military wives were never enthusiastic about the fact that I was watching fights in the room with all the men while they gossiped and traded stories of child bearing in the other room. Perhaps if I’d had children of my own things would have been different, but maybe not. One night as I sat crammed on the couch with all the men, I watched a dozen or so children running around us playing. Among the group there was a single little girl who pushed a plastic vacuum across the carpet while the boys chased each other around with plastic guns. If I had had a daughter among the lot, I hope that she wouldn’t resign herself to cleaning up while the boys became war heroes. When we learned that my sister-in-law was having a baby girl people worried my brother wouldn’t know what to do with her. Really, he would do everything with her that he would have done with a little boy, just as he had done with me growing up. For gifts she received tea sets and tool boxes, princess dresses and fishing poles, fairy wands and baseball mitts and she loved them all. 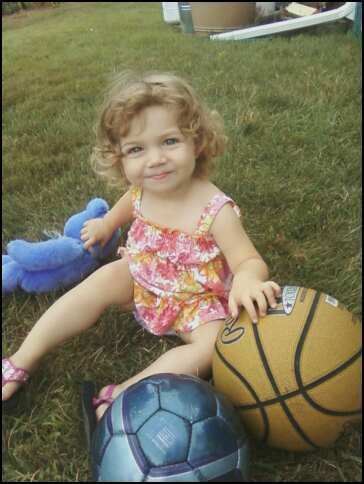 In one of my favorite pictures of her she is sitting up in the grass with one hand resting on a basketball and the other around her purple stuffed bear. Once, I found a toy lawnmower left for trash by my across-the-street neighbors and brought it to her, unsure of whether or not she’d like it. The lawnmower was an instant hit and she ran around the yard with it for hours, screaming and laughing. 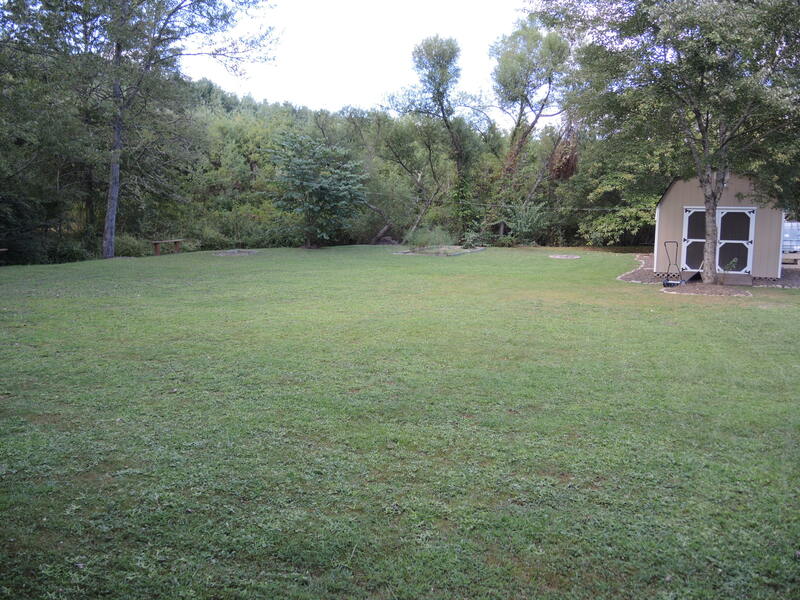 It wasn’t until I moved to North Carolina that I first mowed a lawn myself. As a child my father had been in charge of the mower while I followed behind him with a rake. The military base on which I lived hired a landscaping company and in Massachusetts my landlord always cared for the land. Mowing the lawn was one of the final “man” jobs that I came to complete in my adult life. 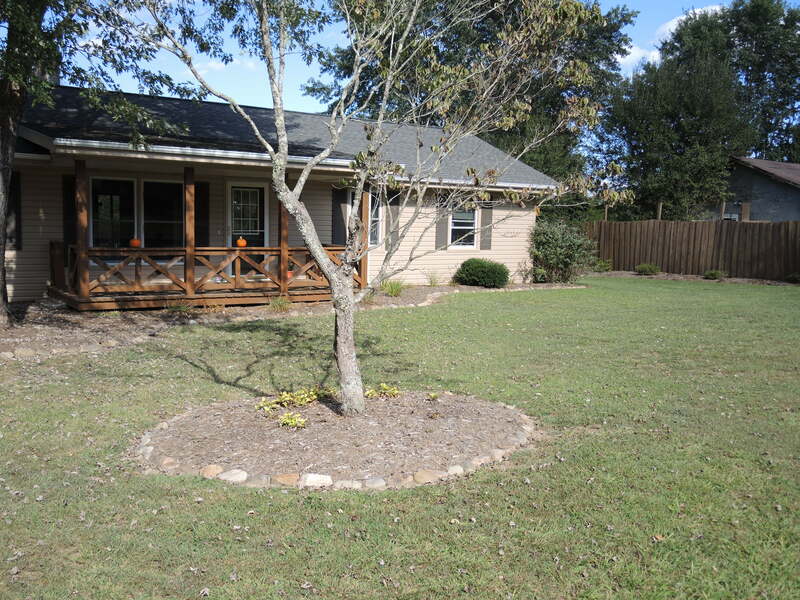 For the month of September, I rented a home in a rural area with one acre of land. When I signed the lease the landlords offered to have a neighbor mow the lawn for $30 each time. “I don’t mind mowing,” I said. When it became clear within the first few days of living in the home that my friend and I would be leaving, I considered just paying the neighbor since I didn’t yet own a lawn mower. One Sunday morning though after a Saturday night event triggered in me a waterfall of feelings I felt myself drowning beneath, I stopped at Lowe’s on my way back to the house to buy a mower hoping that the physical effort and time outdoors would ground me. I picked up the smallest, lightest, manual push-mower I could find and carried it in my arms across the store to the cash register. The cashier asked if I wanted a shopping cart or help bringing it to my car. I refused both. Once at the house I changed into clothes more suitable for mowing and tore the packaging open on the back porch to begin putting it together. The box boasted tool-free, simple assembly, which I was happy to find was true. Within minutes the mower was together and I lifted it down the deck steps and into the yard. I started pushing slowly from one end to the other, feeling the sun beat down on me, forcing me to strip away the insulated turtle neck I’d chosen to wear. I was barefoot in the grass, wanting to feel my feet against the earth. It had been weeks since the lawn was mowed and the grass kept jamming between the blades, forcing me to push more forcefully through the overgrown patches. When brute force wasn’t enough I began to run. The wild spinning of the mower’s blades caused the grass to fly up on all sides and coat my pants and bare feet. The blades began to squeak and the sound reminded me exactly of the plastic mower I’d given to my niece and suddenly I time traveled back to Massachusetts where I chased her in endless circles through the grass. A wide smile spread across my face as I continued to run lap after lap across the yard from one end to the other and back again. A neighbor came over three times to offer his help. The first time he offered his electric mower and I politely declined. When I was a third of the way through he returned to offer to mow the yard for me with his sit-down mower. I declined again. Half-way through the yard I went indoors to get a drink of water and saw, much to my horror, that he’d seen his opportunity and driven his mower into my yard and was working his way toward cutting back the final half-acre. I ran toward him like a mad woman waving my arms like a baseball umpire. He stopped the engine and in his thick southern accent he said he didn’t mind mowing the lawn for me. From the look on her face I imagine she thought I was damning women everywhere by mowing the lawn on my own. “This is man’s work,” her expression seemed to say. “My wife thinks you’re crazy,” he said to me. “It’ll take you an hour to finish the rest of this,” he said looking out toward the edge of the property. I gazed out at the remainder of the lawn then looked down at my watch. “That seems about right,” I said and before he could continue to protest I grabbed onto the mower and began to run. He wandered away to join another neighbor across the street and the two of them stood a concerned vigil as I ran wildly through the yard. I finished mowing the remainder of the lawn in 30 minutes. Having felt shaken, disconnected, uncertain when I began, mowing the lawn brought me back to myself, and burned the energy that had been boiling up inside of me. I felt alive with the wind in my hair, the sun on my neck, my hands gripping the mower, and my bare feet in the grass. I finish with this simple wish: May we go on mowing lawns and baking cookies and honoring what we need to feel most alive in each moment regardless of what role it is we’re supposed to play. Hello Carmela, hope all is well with you. I enjoyed reading your article on “mowing the lawn quote. I too find a certain comfort and solace in mowing the lawn. I also get that feeling washing the car or working in the garden. It’s time to be alone with your thoughts while being physically active. It’s a good combination. Thanks for remaining a faithful reader, Kevin. And thanks for always keeping the yard looking so nice : ) I’m with you on mowing the lawn and gardening, but, as you witnessed, washing my car was never a priority. Distance running is another one for being physically active with time to think.